Kentucky Derby 2019: We Know The Winner! Umm...maybe. 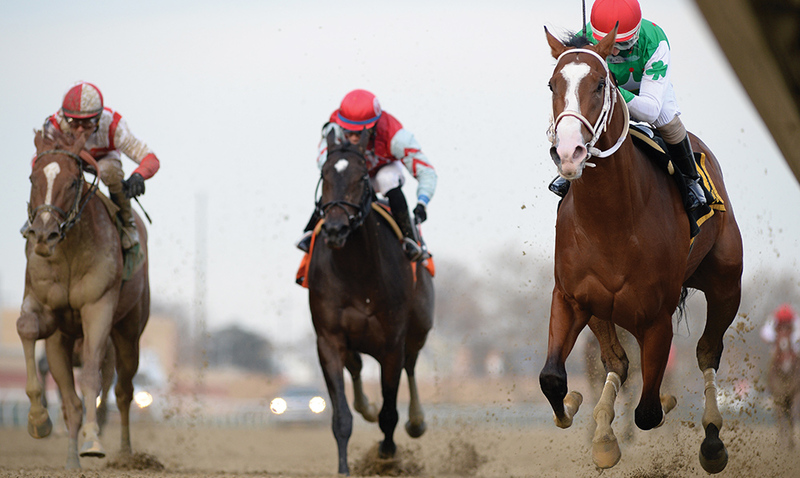 Our experts choose who will take the Derby crown on May 4. Six months into my tenure at the Daily Racing Form (DRF), I found myself caught up in the frenzy of a potential Triple Crown. It was May 2012, and it had been 34 years since Affirmed had completed the near-impossible feat of winning The Kentucky Derby, Preakness Stakes and Belmont Stakes all in the same year (1978). DRF’s handicappers were high on I’ll Have Another, who had three wins in five starts dating back to 2011, with jockey Mario Gutierrez at the reins, including the coveted Grade 1 Santa Anita Derby the previous month. I’ll Have Another ended up capturing The Derby in dramatic fashion, beating out favorite Bodemeister in the final seconds of the race. I remember my heart racing, watching it on the big screen at the office. I’ll Have Another followed that up with a win in the Preakness, but unfortunately, was scratched from the Belmont, putting an end to his chances at history. I’d be remiss not to mention that saratoga living came close to predicting the 2018 Kentucky Derby winner with our early pick, Good Magic, who came in second in the race. So, if your New Year’s resolution is to be a better bettor—or simply have a few more greenbacks available for your Saratoga Race Course campaign this summer—I’d suggest listening to our panel of experts. Who knows? Maybe we’ll punch your winning ticket a little early this year. Or not. He’s only had one start, but I like a horse named Coliseum. He’s a son of Tapit, owned by Godolphin Racing and trained by Bob Baffert. There’s been a lot of buzz on this horse from the morning clockers in California. That’s my shot in the dark. While the Grade 2 Remsen Stakes at Aqueduct Racetrack in Queens, NY, is seldom considered a key race on the road to The Kentucky Derby, the race got a boost when the 2017 winner, Catholic Boy, went on to win multiple Grade 1 races, including the Travers Stakes. So 2018’s Remsen winner, Maximus Mischief is my early Derby pick. Bob Baffert has already trained five Kentucky Derby winners, two of which, American Pharoah and Justify, won the Triple Crown. One horse that Baffert trains that may have the most potential is Improbable, who was an unbeaten three-for-three in 2018. His upside is immense. Roadster, trained by Bob Baffert and ridden by jockey Mike Smith, who came back from throat surgery to improve drastically, has a legitimate shot to make a strong run at winning the Kentucky Derby.